Sorry for the blurry picture. I'm trying to work on that. This is one of the 3D items we made at a recent stamp camp. I got the pattern from splitcoaststampers and the other butterflies are from our sizzix die #114507 Beautiful Butterflies $21.95. 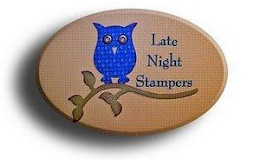 Contact me if you would like to order this die or other Stampin' Up! merchandise.